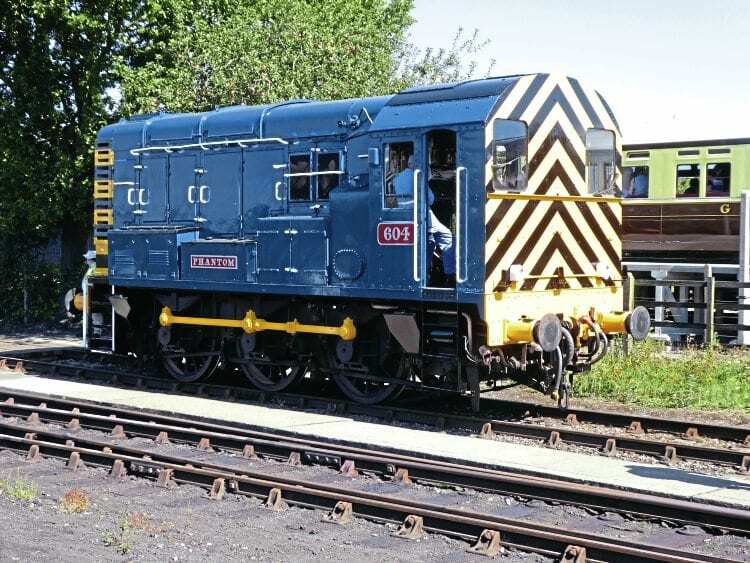 DIDCOT Railway Centre’s resident Class 08 No. 604 Phantom (08604) received a repaint in BR blue livery during the Great Western Society’s annual volunteers’ ‘Work Week’ in August. The project was undertaken in just over a week by a small team which carries out work on the centre’s diesel locomotives each year. In 2016, 0-6-0D No. DL26 (Hunslet 5238 of 1962) received the treatment, while in 2015, Class 14 No. D9516 was the subject of attention. to give them a coat of protective paint, rather than a show-room appearance. The 08’s previous green livery was applied seven years ago, and although the paint had lasted well, it was becoming very faded.